How to Build Your Followers! Do you have a lot of followers? If so, congratulations! When you decide to get into paid blogging, a big opportunity awaits you. Some advertisers are looking for bloggers who has 4,000 or 5,000 followers in social networks. Woah! That's a lot, right? How will I do that? If you are a beginner, you'll start worrying pressured with excitement! Hey, don't worry! I started out with zero (zero knowledge with no interest to learn) in Blogosphere. Then, I let my blog sleep for a while, while my friends had zoom out to thousands. You can't tell when you need it. Oh, stop it! 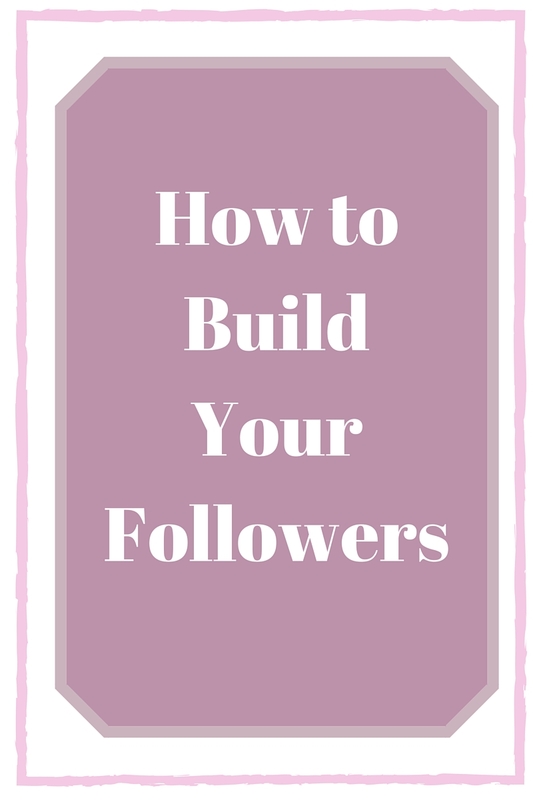 Now, let's go back to how you are going to build your followers, aside from writing your content. Sign up for Blogger Opps or Giveaway Opps! In blogger opp, there are free links and paid links options for the giveaway. Some opp has 1 or 2 FREE links to your social media such as Twitter, Instagram, Pinterest, likes for Facebook Fanpage except G+. I have no idea why they exclude G+ but I will ask them, one of these days. If you share the blogg opp in your social networks or sign-up, you'll get one FREE link. You'll get the 2nd FREE link if you post the announcement in your blog. Of course share it again for 2 - 3x a week to get more sign-ups in your social networks. FREE links depends on the host if she decides to give 1 or 2. When the giveaway starts, contestants either follow or visit your social networks. You can sign-up no matter what country where you're from. When the giveaway starts, the country is in the post. If you have extra products, you can run a contest or giveaway on your blog. Also, you can collaborate with the other bloggers for more prizes. That will be exciting! Giveaways creates a big buzz and drives traffic to your blog. Build followers by a follow from any of your social networks. Let your contestants or readers share and comment in your giveaway/contest. You decide and state in the giveaway post that the winner will pick-up or you shoulder the service fee. I think the winner is much happier if you shoulder it. As the saying goes, "the same feather flock together". When some people has the same goal, they hang out together, right. Search Google or Facebook for groups that has a goal for social media followers. I am not yet familiar on how to use this service, though. I have installed one in my blog and that is +AddThis . Somehow, this tracks the number of times my post was shared and liked in social networks. So, it drives traffic! Hopefully, the sharers would follow me in any of my social media. Don't expect much! There are unfollowers and we can't stop them! Instead of being negative, use it in a positive way. There's a room for improvements. I am not an expert on this field. I'm still on the process of learning more. However, I want to share this based on my own experience. How about you? Do you have any ideas? Please share it below. Thank you!